Terence Zimwara is a cryptocurrency enthusiast and economic analyst from Zimbabwe, with firsthand experience of his country’s record hyperinflation. Terence also likes to share his views via his blog. As digital currencies gradually gain traction, a counter narrative emerged as the year progressed: central banks that belatedly acknowledged the value of cryptocurrencies now want to launch their own. However, some want the prerogative to issue this currency assigned to them and only them, because central banks ‘enjoy the confidence’ of the public. Speaking at a Brookings Institute organized discussion event, Agustin Carstens, General Manager of the Bank of International Settlements, boldly declared earlier this year that technology cannot substitute for all what central banks do to make trustworthy currencies. This kind of pushback against cryptocurrencies has long characterized the debate on bitcoin, blockchain and digital currencies. At the core are two fundamental issues, control and freedom to choose. Central Banks naturally want to perpetuate the status quo because of the obvious advantages this comes with that status. Yet, cryptocurrency’s popularity stems from the ease with which it enhances commerce, and the insulation it offers to investors’ value when financial markets hit turbulence. Perhaps banks would not gripe as much as they are doing now, if bitcoin did not threaten to shred the currency-issuing monopoly they presently enjoy. The power that comes with monopoly over creation of money is unmatched and that is why virtually all central banks insist on having the sole rights to print money. On the other hand, blockchain technology is a natural reaction to years of this unjust state of affairs. Blockchain technology is an attempt to force sweeping reforms to the global financial system. Therefore, it is also important to keep the latter perspective when discussing the pros and cons of cryptocurrencies. When central banks say they want to issue their own digital currencies, we have to invoke the context we have just explained above. In fairness, central banks in advanced economies across the EU, the U.S. Federal Reserve, Bank of Japan etc, sometimes do genuinely try to protect their respective citizens from hackers, fraudsters or from any other undesirable elements that may want to do harm. Central banks also claim their presence helps to infuse trust into financial systems. For instance, banks do not normally trust each other, so the intermediary role played by central banks ensures the smooth flow of transactions between them. In other words, central banks build and maintain confidence in financial markets. It is on this basis that Carstens doubts if any new technology will substitute for all these centuries of creating good practices, which in a way generates the trust that society has on the currency that we know today. However, this assessment is incomplete, if not disingenuous, because it dodges the central theme of bitcoin and cryptocurrencies in general – ending unfair currency issuing monopolies. Privately issued digital currencies come with risks but equally, they come with important advantages and one such advantage is competition or choice. Competition makes free markets efficient and when a market is deprived of this, a waste of resources often follows and customers become worse off. Already, the cryptocurrency market is endowed with a growing number of digital currencies aside from bitcoin. The choice of such “altcoins” ranges across ethereum, litecoin, XRP, bitcoin cash and many more, and each is an attempt to give the holder a unique advantage that they cannot get elsewhere. There is no monopoly here: different players have been allowed to issue cryptocurrencies but still the market continues to grow. When a central bank issues a currency, you have no choice but to accept that currency, even if you have some misgivings about the currency or the process of issuing it. Laws have been passed to preclude private entities from printing national currencies because, apparently, competition is not preferred when it comes to money creation. So even when you know that the issuing party is incompetent or corrupt, you have no choice but to abide. To Illustrate, Zimbabwe’s central bank, the Reserve Bank of Zimbabwe (RBZ) pursued what became known as quasi-fiscal activities between 2004 and 2008. 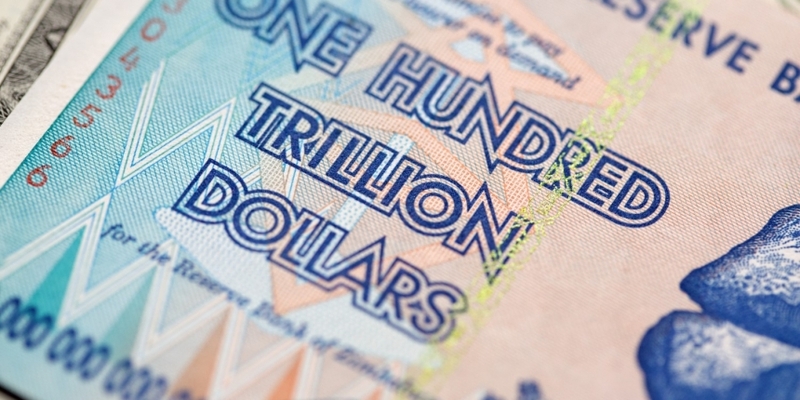 The RBZ ran parallel expenditure activities, which many blamed for the hyperinflation, which peaked at 500 billion percent and the ultimate collapse of the Zimbabwe dollar. The public lost confidence in this institution and the banking system in general, as evidenced by the nature of deposits mobilized by most banks after the hyperinflation period. It is quite natural that many people now question the legitimacy or importance of this institution. So, when the same institution announced that it planned to issue a so-called surrogate currency back in 2016, there was a predictable outcry, with many fearing it was an attempt to bring back the worthless Zim dollar. Cryptocurrencies give a choice to those opposed to a national currency, as was the case in Zimbabwe in November 2016, when bond-notes became legal tender. Unfortunately, ignorance levels were, and still remain, very high – ordinary Zimbabweans did not realize they had an option to switch to cryptocurrencies. Now, a few years later, bond-notes appear to be on their way out, as they are losing value quickly and ordinary people will be hard hit again. So, it is quite perplexing to hear the likes of Carstens assert that people have confidence in central banks. Which central banks? There are obviously better corporate governance standards in Europe where Mr. Carstens hails from. There are also strong institutions that help to keep central banks in check, something absent in many developing countries. Africa has had its unfair share of currency crises, from Mozambique to Zambia, from Nigeria to Zimbabwe, and it is apparent the central banking system does not always work well. On the other hand, cryptocurrencies offer an exciting alternative, which we must be allowed to explore. Privately launched cryptocurrencies must be allowed to compete with currencies issued by the continent’s central banks. This competition will help central banks on the continent to improve and reform. African nations must also resist attempts to adopt the Venezuela model, where the state reportedly banned others from issuing digital currencies before it launched its own – the petro. No one can really predict what will happen to cryptocurrencies in the coming years, yet that should not stop us from dreaming about the future. Often new technology changes lives in many ways that even those creating the technologies could not have imagined. Now is the time for open minds and not fear.